Johannes Buergmayr received his Computer Science degree from the Technische Universität in Munich (Germany) 2008 with his thesis focusing on "Business Process Optimizing On Focusing Manufacturing And Logistic For Small Companies". During his university time Johannes worked as an IT Freelancer to develop customized software solutions and to provide computer and telecommunication networks services for 250, primarily small­ and medium-sized, enterprises. After graduation, Johannes continued his career in Burlington, Ontario, Canada, where he began his specialization as a Sales Operations Manager and Process Analyst with Gennum Corporation, formerly one of Canada's largest semiconductor company. This successful three years experience eventually led to a five years Senior Consulting engagement with ConVista AG in Cologne, Germany to apply his superior skill set for SAP Business Intelligence projects. 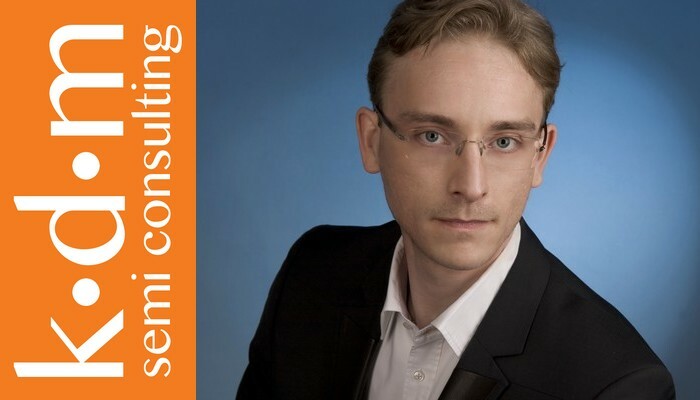 In 2016 , Johannes co-founded with his partner Klaus Mueller kdm semi consulting GmbH, a company which offers Strategic Consulting services and Shibui-IT™, a Software tool to create custom Business Intelligence (BI) reports, to help executives and investors to make more informed and better decisions to guide the business and to monitor investments.